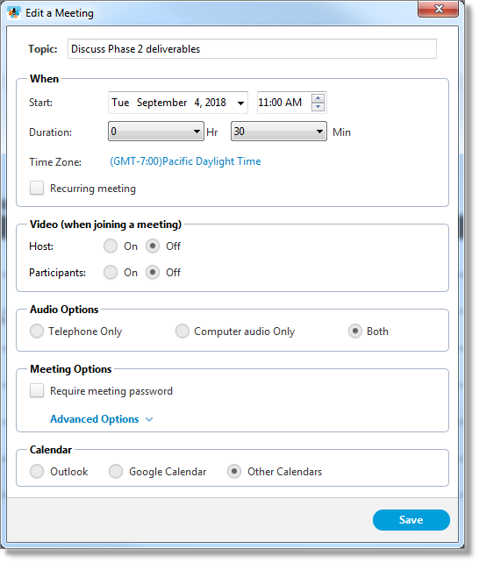 You can edit a meeting in AT&T Collaborate – Meetings to change any of its details, such as time and date, duration, etc. 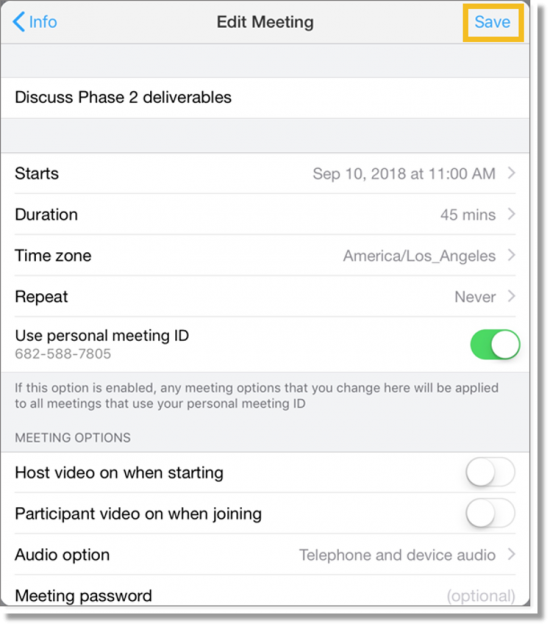 When you make changes to a meeting, you will need to send a new invitation with the revised details. Hover over a meeting, and then click Edit. Make any changes to the meeting details. In the upper right, tap Edit. 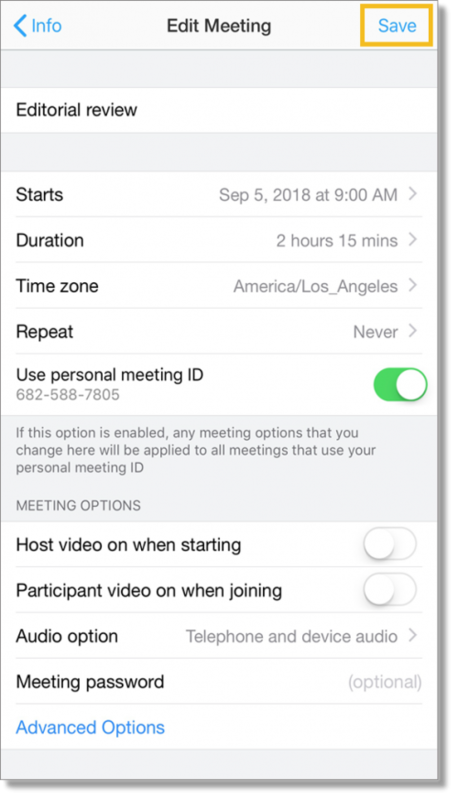 Make any changes to the meeting details, and then tap Save. To close the Info window, in the upper left, tap Cancel.